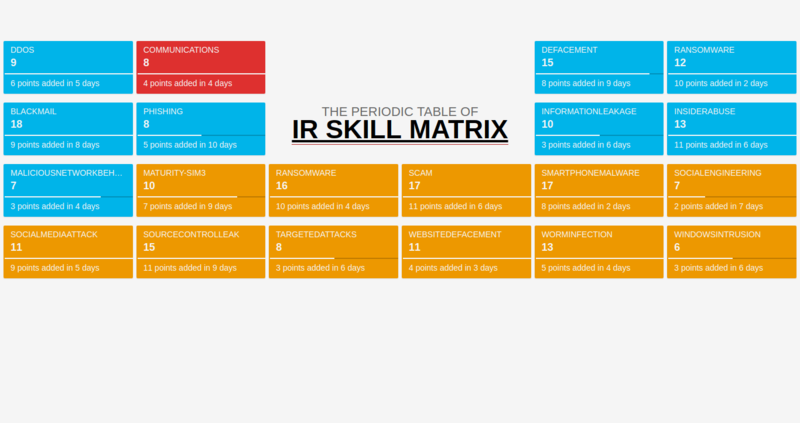 Flexible IR is an Incident Response system providing vendor agnostic process based Playbooks. The playbooks are also used in developing core Incident Response skills. Expert analysts can easily create Playbooks in minutes using our simple interfaces with no rampup required. IACD recommends the below levels of orchestraton abstraction. We focus on process Playbooks and target to be a grey market for community driven Playbooks. Below is an use case of how an event or case gets handled in a coordinated and structured way. From IESO - A Canadian power company. From Societe Generale - A French investment bank and financial services company. From IESO - An Canadian power company. A new real time board for every case. A single pane of observability for all stake holders. NIST phases of Incident Response adhered. 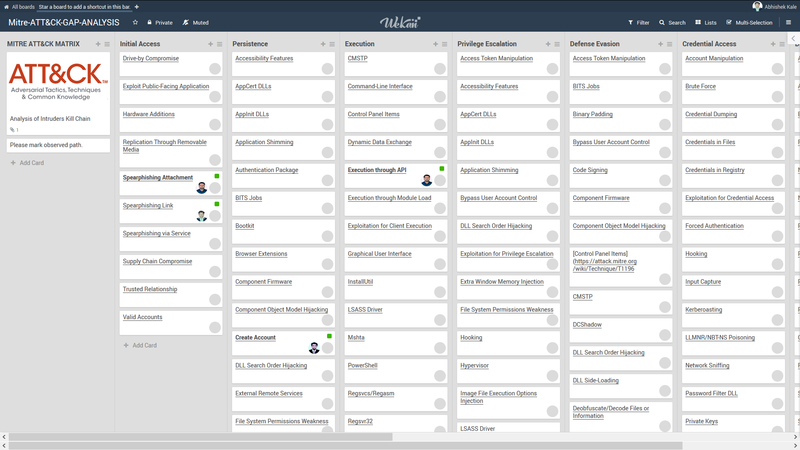 Every task is granularly tracked, timelined and monitored. Strong coordination between Analysts and IT teams. Tasks assigned to owners with clear checklists. Recommendations on next best actions. 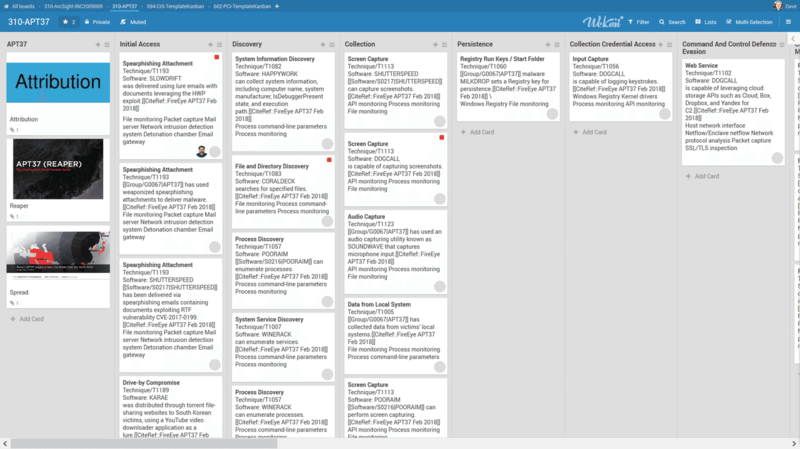 Single Pane - All stakeholders see updates. 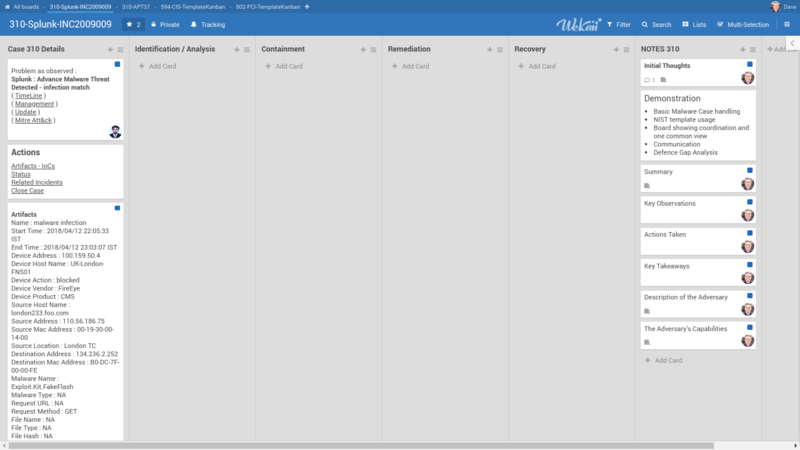 All tasks and their states are seen in one window. 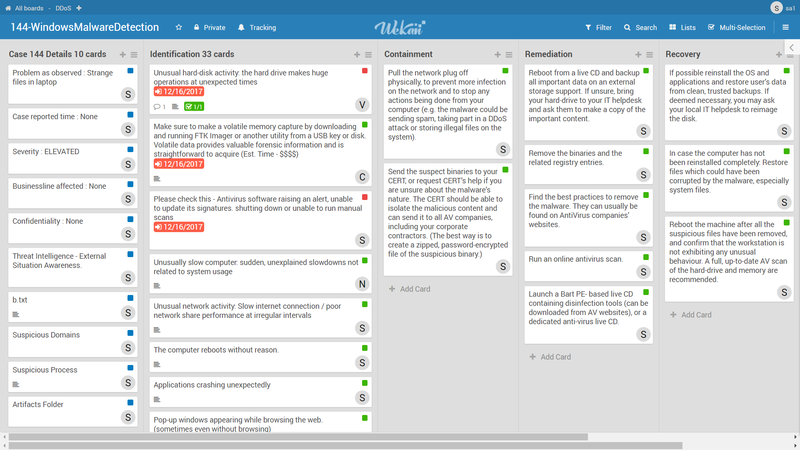 Each task accurately assigned and Timelined. 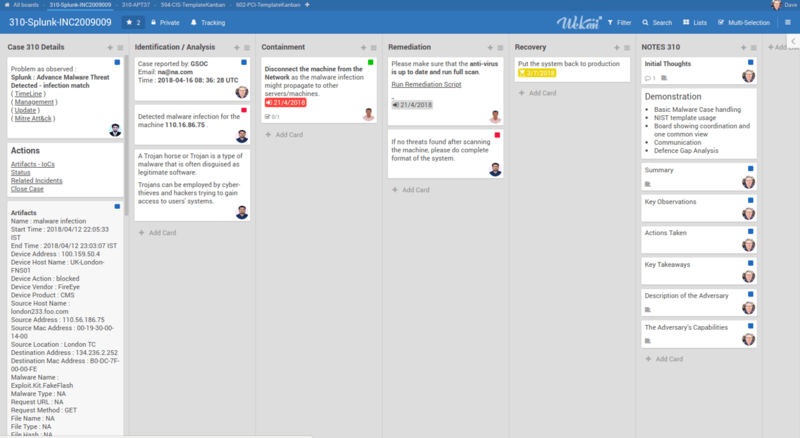 Easily track the time consumed on each task and optimise or pipeline iteratively. Recognize and mark attacker tools, tactics, and procedures (TTPs). Identify knowledge gaps in your organisation and practise. Identify the behaviours and explore attributions to APT groups. Gives Management info on exactly who and what each member is doing. Understandable and easy baseline Playbooks to handle incidents. Playbooks meeting Compliance Requirements. Evolving Playbooks using Symbolic AI system integration. 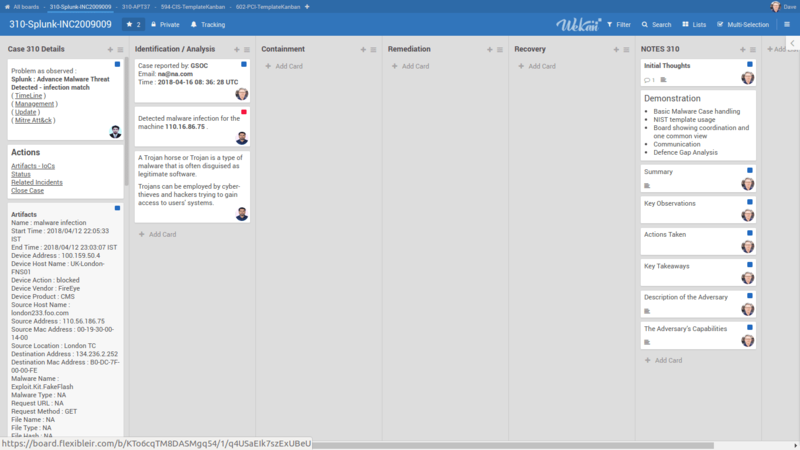 The Playbooks can be customised to your specific environment and security analyst. Expert audit of Playbooks. 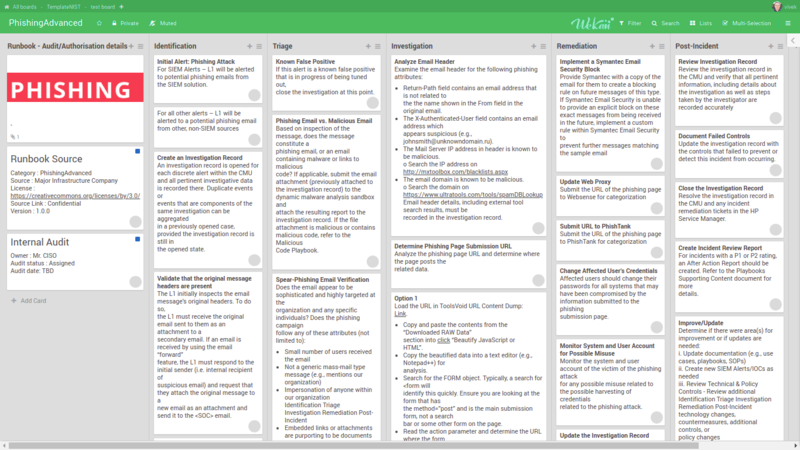 Insights on how each task in a incident has been handled. Categorisation and similarity analysis of Incidents. Prometheus reports as required for IR compliance. 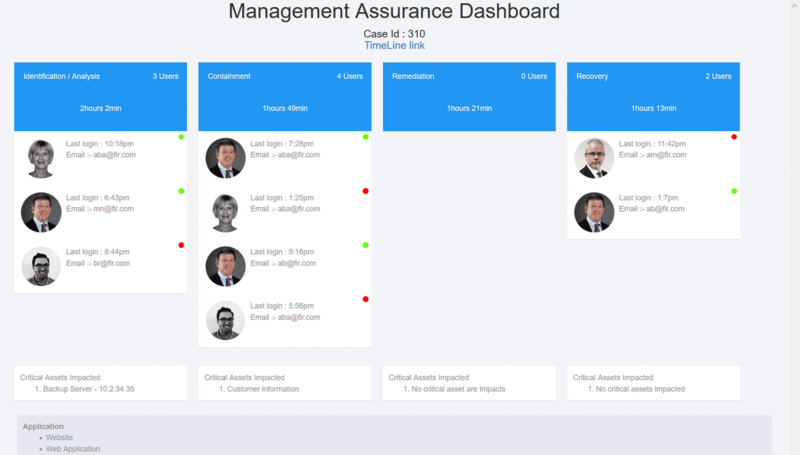 We provide Multi-tenancy and workflows for typical MSSP usecases related to ticket management, shifts, SLA and skill management. Support for L1/L2/Analyst/Manager roles. 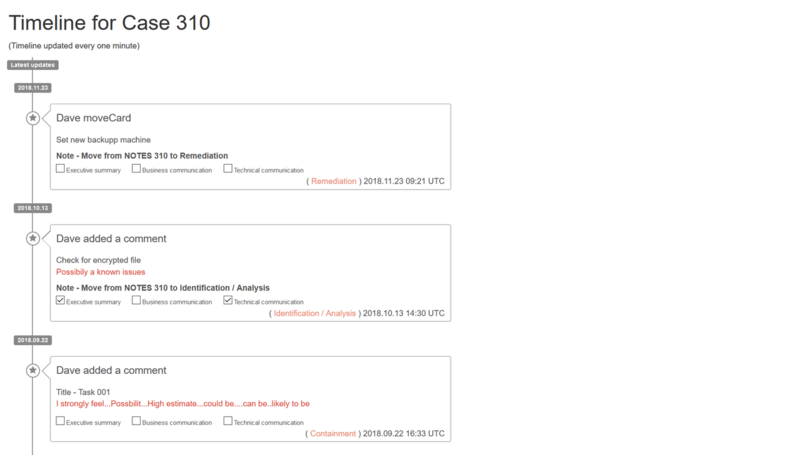 Hunting based on complete SIEM building capability using Elasticsearch and Osquery running at the endpoints. Continuous support to build hunting scenarios. Support enterprises migrating their workloads to hybrid cloud enviroments mainly running on containers/kubernetes. Flexible IR presented at the First.org OSAKA Technical Colloquia, Japan on Friday, 16 March. 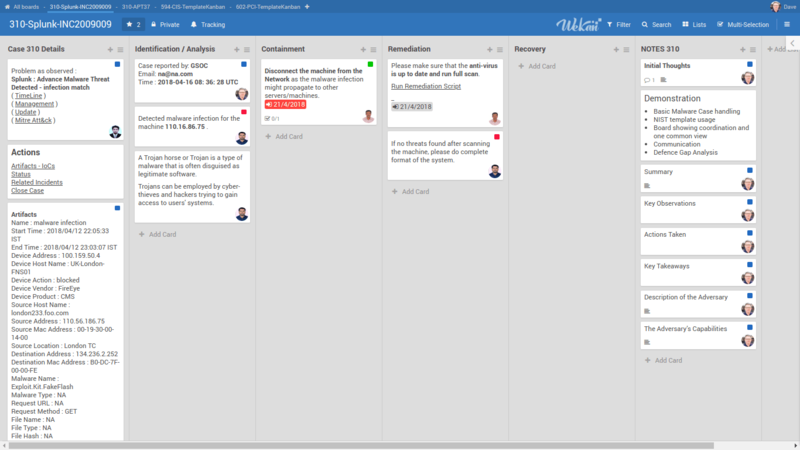 Please click to check out the program "A new innovative system to handle an Incident in an organized and guided way"
Excellant product validations received during FlexibleIR showcase at the RSA conference 2019, San Francisco March 4-8..
An incident management system running on kanban boards (like Trello) to time every task during incident handling. 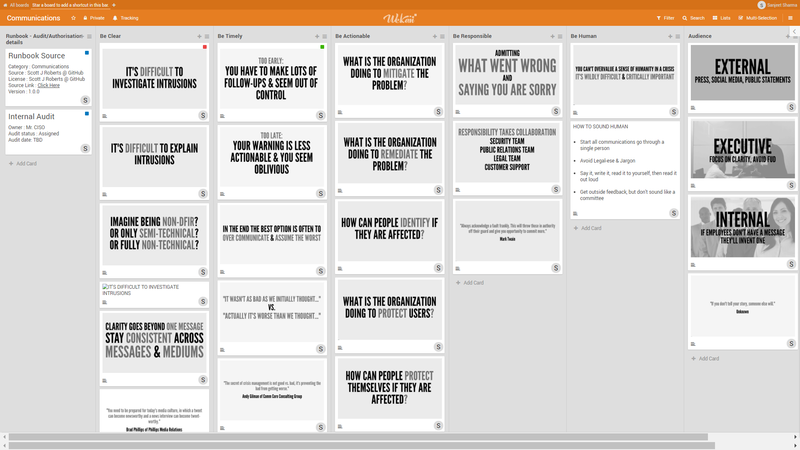 This defines our vision of Incident Response = Content + Structure + Knowledge. As per IACD pilot - Simple counts and time calculations can be powerful. 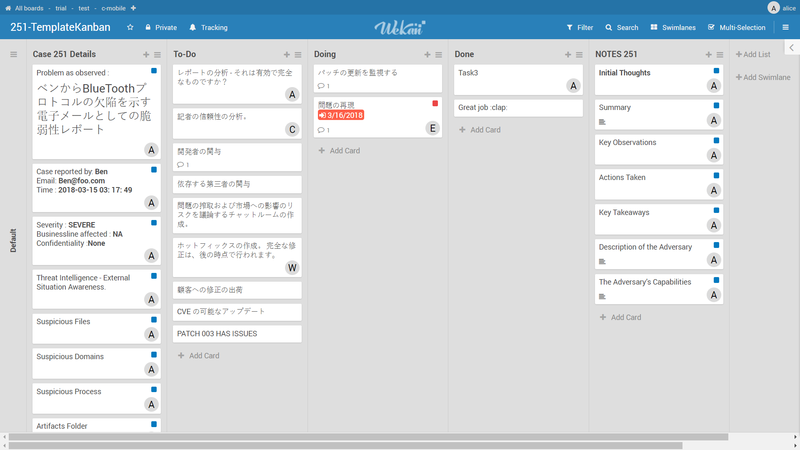 This is at the core of Kanban boards provided by our system. Incident handlers who are in single and different geographies can easily collaborate. The system enables Clear,Timely, Actionable and Responsible communication which is critically required during a major incident. 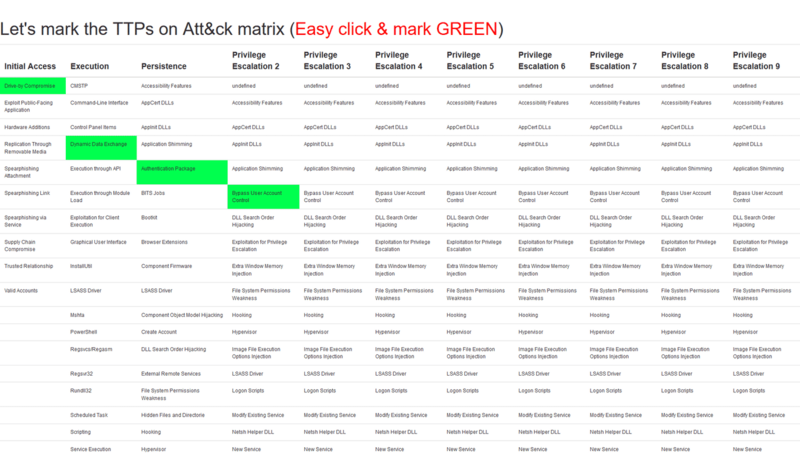 With every incident handled the Tactics, Techniques and Procedures are marked on the Mitre Att&ck matrix. The gaps on TTPs are marked for practise. 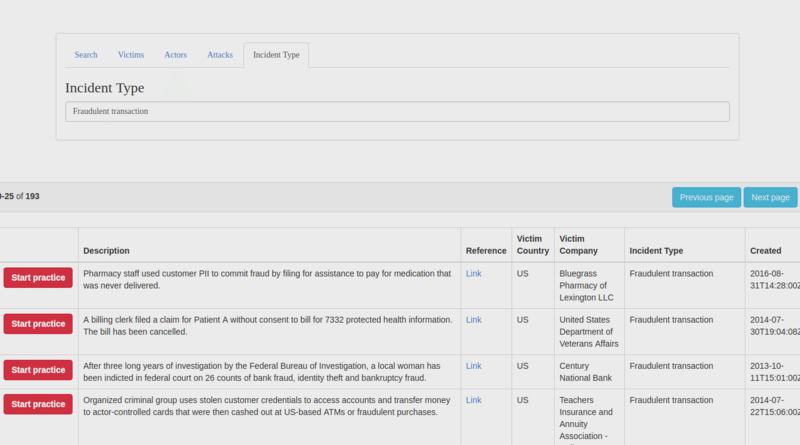 All the information related to a Incident are visually seen across teams and geographies. 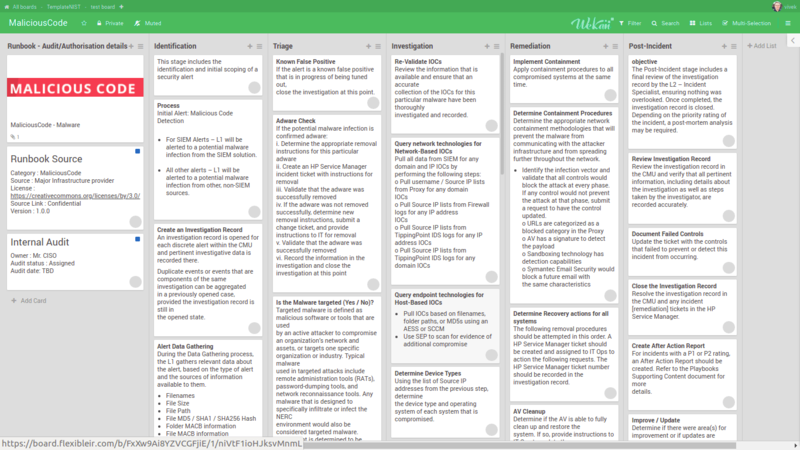 Each task in an incident is tracked, timed and analysed for optimisation. Tasks are assigned to the right owners and timed. 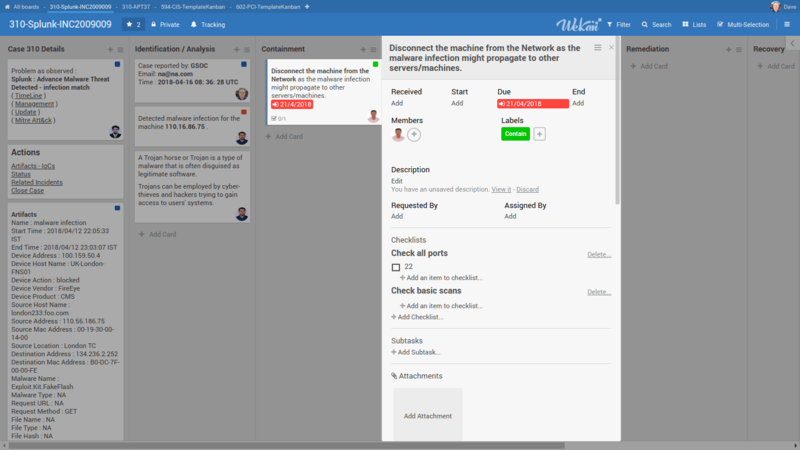 Automation scripts can be executed for each task. 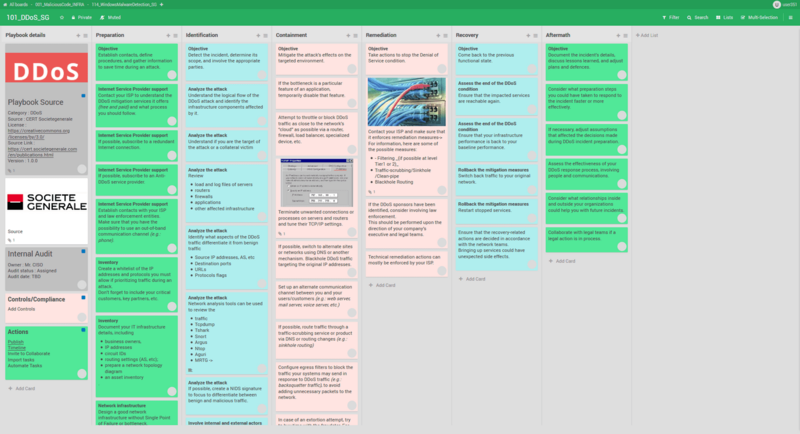 All responder activities on the Kanban boards captured. 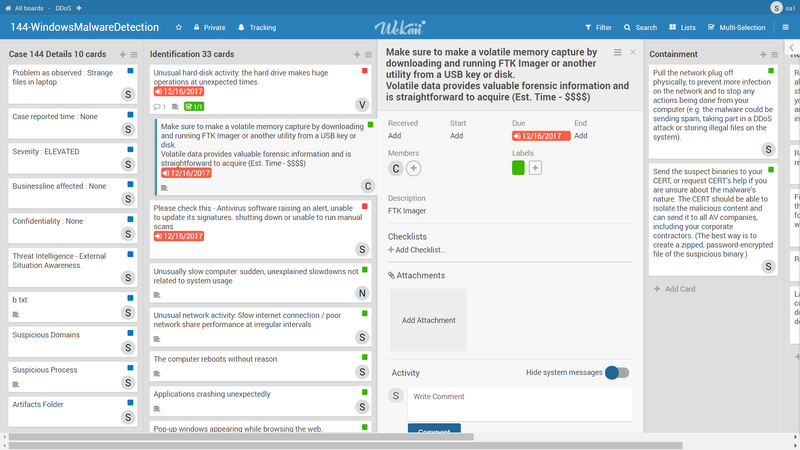 Each activity on the boards are captured and analysed. 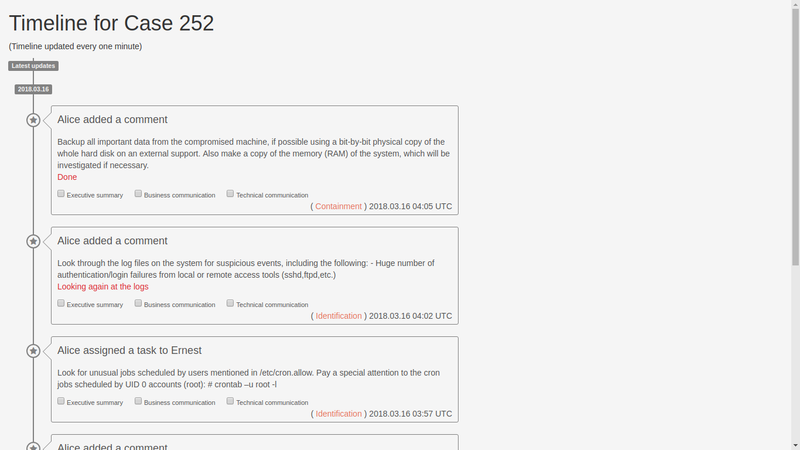 Really love the concept of FRIR for DFIR!!. The system is easy to use. Understandable. Structured way of handling incidents helps a lot. Liked the time estimate feature for each command. 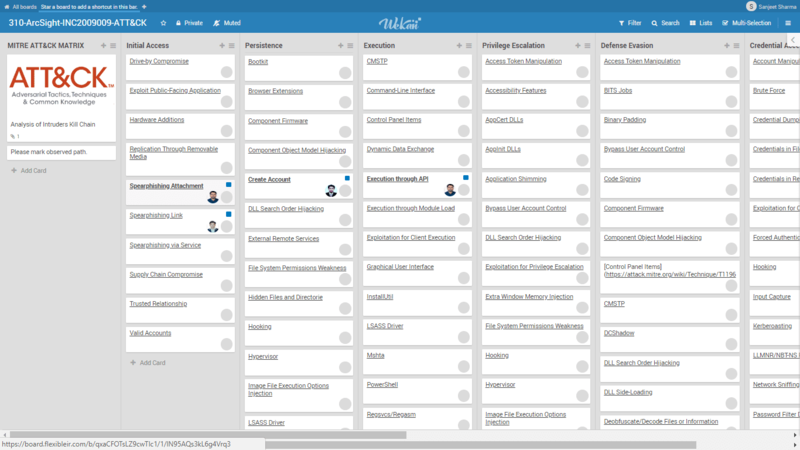 Flexibleir is an incident response platform which can be used for incident response, war room, red teaming solution. This is a good product for incident response & with a visionary roadmap and also open for customization as per requirement.